Locally owned and operated, we provide expert technicians who are accessible, friendly, and professional. Our customers appreciate the ease with which they can request information and services from our experienced team. State Licensed Electrical Contractor & Designer Fully Bonded & Insured. We specialize in Commercial and Industrial Electrical work, but also do Residential Wiring in the local area. 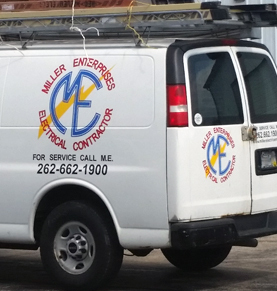 Miller Enterprises is a State Certified Electrical Contractor, as well as a State Certified Electrical Designer. We perform high quality work and strive to exceed our customer's expectations. References are available upon request. We do the job right the first time, check that everything works 100%, and	leave your home or business clean. Our Customer reviews attest to our high customer satisfaction. 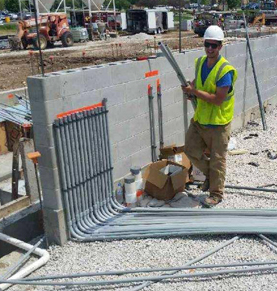 Whether you're dealing with an unexpected electrical issue or updating your commercial building, if you turn to Miller Electrical you won't have to lift one tool. 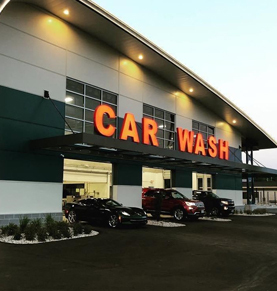 We're here to take care of the job from start to finish. 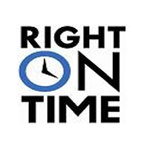 Our entire staff believes in working hard to complete jobs in a timely, efficient manner, so cutting corners is never an option. We do jobs right and make sure to adhere to current safety codes. As a customer, you can expect our best. So when electrical problems occur in your home or place of business, the last thing you should do is try to repair them yourself. 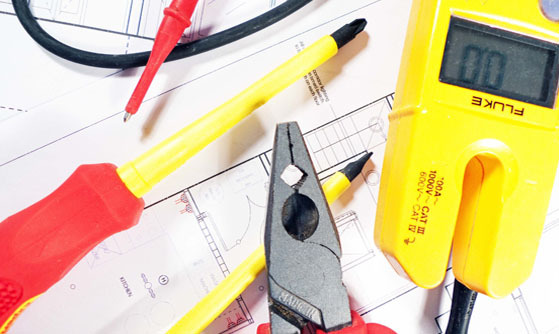 Our comprehensive electrical repair services designed to get your electrical systems up and running again. We aim to exceed expectations on every job we undertake. No matter how extensive your electrical repair job happens to be, we'll tackle it quickly and efficiently without skimping on quality. That's just how we operate. 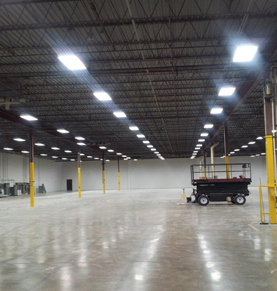 We provide industry services in cities across Wisconsin! 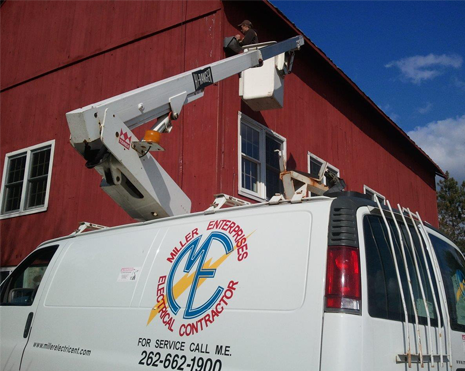 Our electricians have the background and expertise to complete any electrical job or home project in a timely, cost-effective manner. 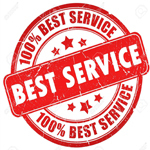 Besides providing quality and professional electrical repair and replacement, we offer outstanding customer service that involves a 100% satisfaction guarantee. 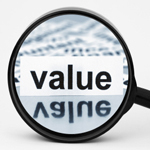 With decades of industry experience, top-notch is the only way to describe our services. Our electricians are well trained and well mannered. 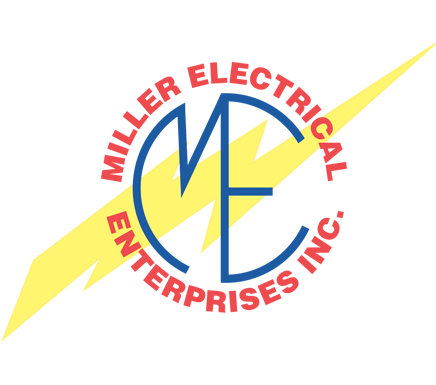 You should never expect anything but the best from our electricians. We specialize in Commercial and Industrial Electrical work, but also do Residential Wiring in the local area. 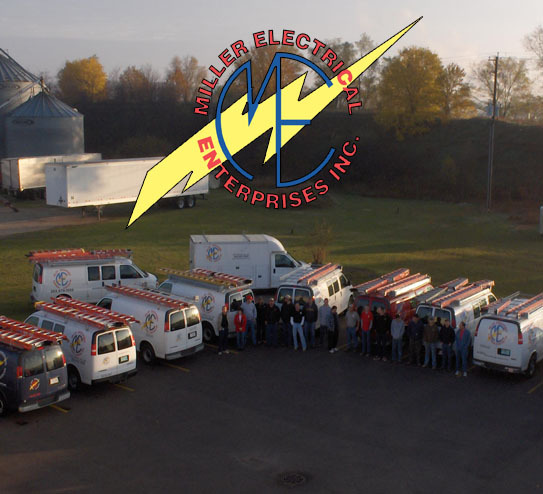 Miller Enterprises is a State Certified Electrical Contractor, as well as a State Certified Electrical Designer. We perform high quality work and strive to exceed our customer's expectations. Copyright © Miller Electrical 2018. All rights reserved.